Don’t despise the days of small beginnings. I choreographed the dance below three years ago and it is dear to me. Warning: There is a huge garment problem right at the beginning. Don’t let that hinder you from being blessed by this dance. In fact, in a way, that garment snafu is part of my point in posting this video. There are many things I could critique about this dance regarding the garments, the group choreography, even or especially, our hair. But it this dance is dear to me, and it still moves me. Watch it, and you’ll see what I mean. God gave me this dance (I did not choreograph the solo dancers movements. She did that herself with some coaching from me. She is a beautiful dancer I was blessed to work with for years at my old church. ), and He gave it to me knowing my level of skill at the time and my knowledge of choreography. He used it to communicate a word about His Son, to communicate that He has something to birth in each one of us and, when we say “yes” to His call, we cannot know all that it will entail – the glory and the sufferings that will come with it. He used it to awaken a yearning in women to dance and to reveal His beauty. He used it to touch hearts in the congregation and to prepare them to hear from Him that advent. He was present, and He blessed the dance. He blessed it even though we didn’t have culottes under our dresses. He blessed it even though my hair fell over my face several times. He blessed it even when the solo dancers dress fell out of place. If I were to choreograph to this song again with this group, I would make changes to the garments, to our hair, and to the group choreography. But I don’t get to do that. That dance was for that day, for those people. And God used the knowledge and skill we had on that day. First, to encourage you to use your gifts now, to trust that, if He is saying, “Choreograph,” or, “Dance,” or, “Lead,” that He can and will speak through you with power. Second, to encourage you to refrain from critiquing the dances you see. Once we gain knowledge, it’s tempting to critique others who don’t yet know what we learned (or what we think we know). But God is bigger than our knowledge and more gracious than we are. He uses immature sinners to reveal His glory. So, we can relax and receive from Him, not troubled by the frailness of the vessels. Please respond in the comments. Share how He spoke to you through the dance. Or share what hinders you from stepping out to serve, when you feel called, and what actions the Lord is calling you to take. I’d love to hear from you. Thank you so much Amy for sharing that video and your insights. That was wonderful. I don’t know how many times I have had it on my heart to share a dance and by the time I critique myself I end up not doing it. I understand we should know our level and capability but I too have seen God touch hearts with simplicity and true devotion when people dance. I have felt I need to “trust” more. When I feel that call to choreograph a dance to so it in obedience and leave the results to God. He is the only One who can change hearts anyway and He takes what we give Him and blesses it. He is so faithful. I also have felt that only God knows the hearts so I should be slow to speak (critique) someone’s dance. I have found when we look for God we find Him. 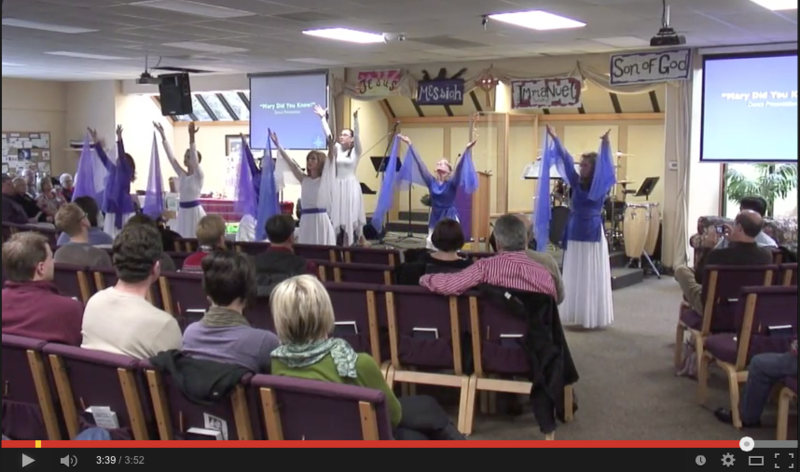 The dance was beautiful and worshipful. Thank you!!! Amen, Nanette. You said it so well. I’m grateful the dance blessed you. I am so encouraged by your word to heed and to not despise small beginnings. Also, your word to refrain from criticizing the dances we see or do and that He is so much greater than our sins and our capabilities – Amen. It was a blessing to dance with Jenifer, though I saw my faults and sinfulness impair my ability to focus solely on Him. I realize I have much to grow and that our humanity is very much present. 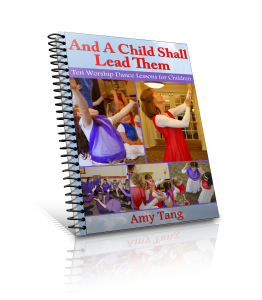 Thank you for your encouragement and sharing from your own experience of dance, ministry, and leading. Tracy, thank you for sharing your heart. I think this is an area many of us, myself included, need to be always growing in, or maybe always yielding in so that we can grow in grace.